Beef…it’s what’s for dinner. Not all beef is created equal, especially when talking about the grind kind. Here’s the deal, ground meat these days is made from leftover trimmings throughout the day. So you could end up with a filet grade ground beef, or…maybe it’s best not to think about it. How do you avoid this? Grind your own or have it ground for you. Butchers at just about every grocery store would be happy to grind a roast or a steak for you. Sometimes I’ll take the easy way out and do this for a last minute weeknight meal, but when I can and have the time, I’ll break out my KitchenAid grinder attachment. Yes, it’s easier to just buy the pre-done stuff, but if you want to step your beef up a notch, grinding yourself is the way to go. It doesn’t have to be in a KitchenAid or hand grinder, you can do it right in your food processor. If none of these options are available to you, then go ahead and have the butcher do it for you. It takes only 5 minutes and your taste buds will thank you. 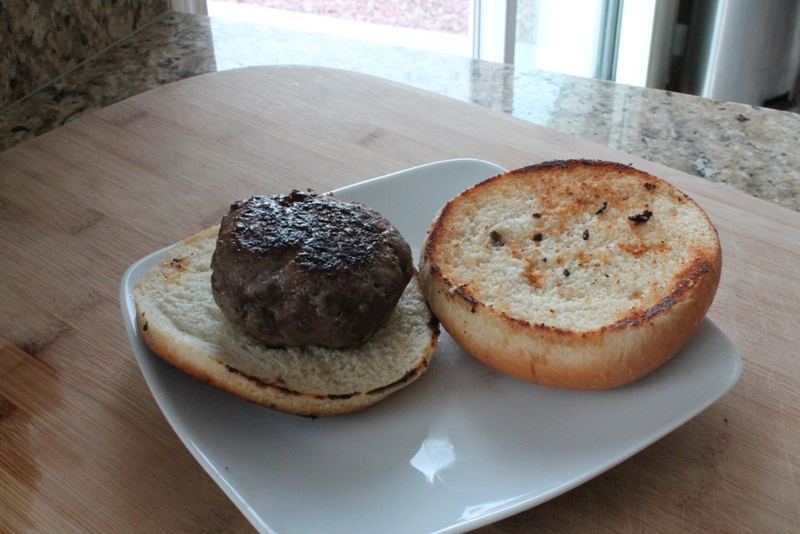 Cook 4-5 minutes each side for Medium burgers. Only flip once during cooking and do not press patties down. Here’s what I found while cooking. My cooking time was about 5-6 minutes each side. 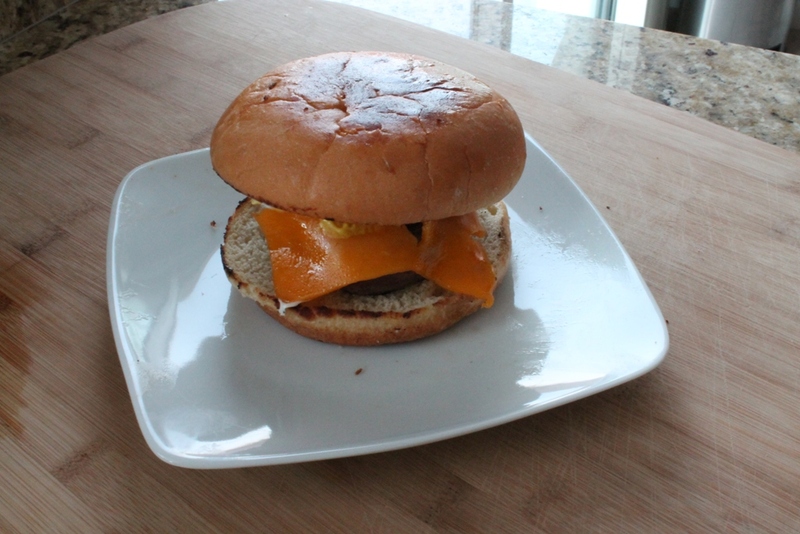 I would flatten out the burgers a little more than I did to get more even cooking. My griddle was over 2 burners so it’s very possible that the heat was not evenly distributed and could have caused the longer cook time. The flavor however, was great. 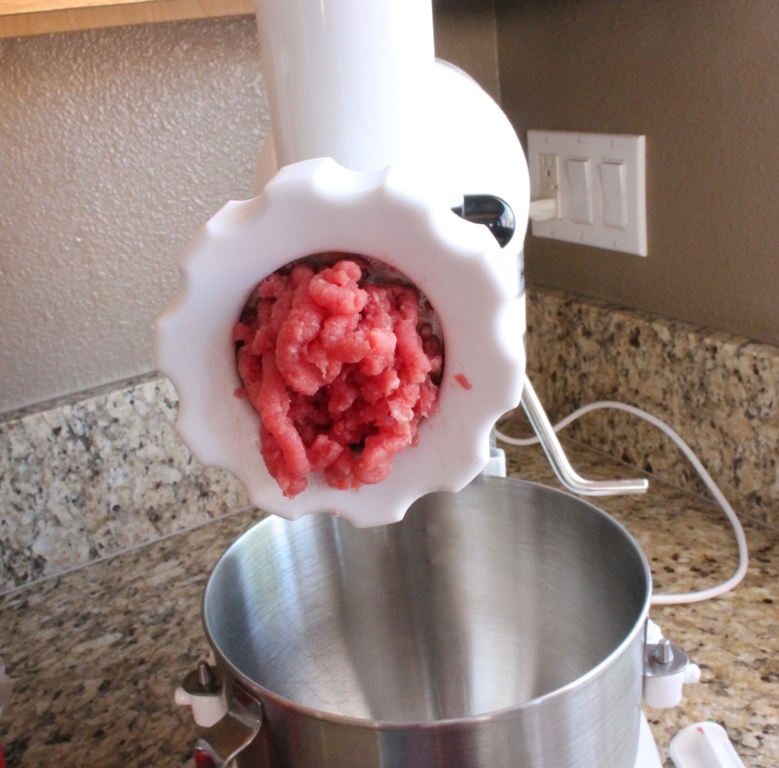 In separate batches, grind the chuck and sirloin in a meat grinder or food processor. 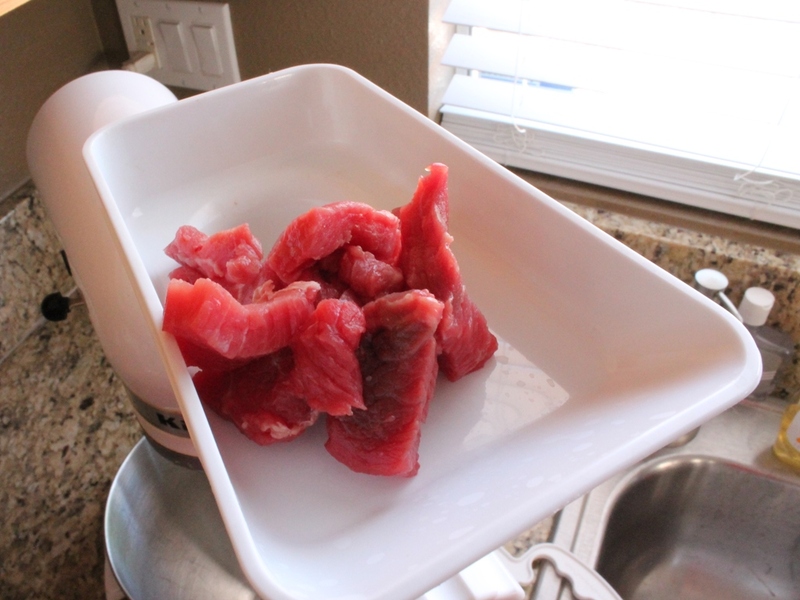 Combine the chuck, sirloin, and kosher salt in a large bowl. 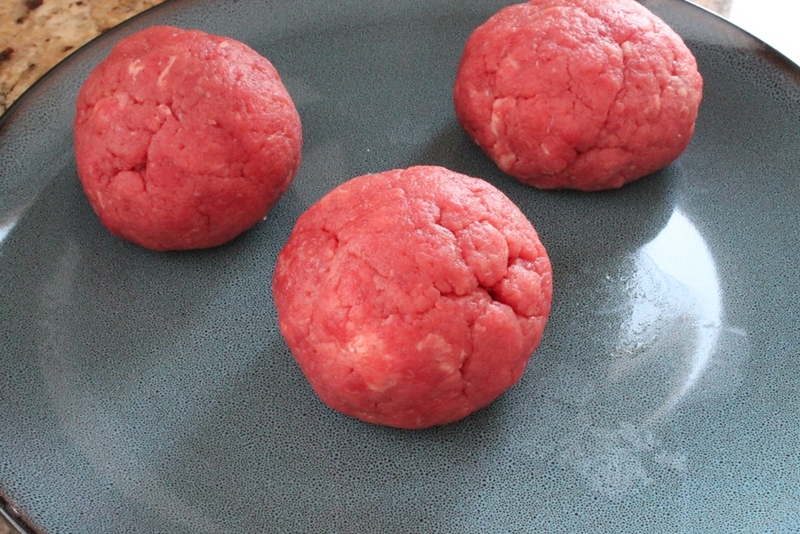 Form the meat into 5-ounce patties. 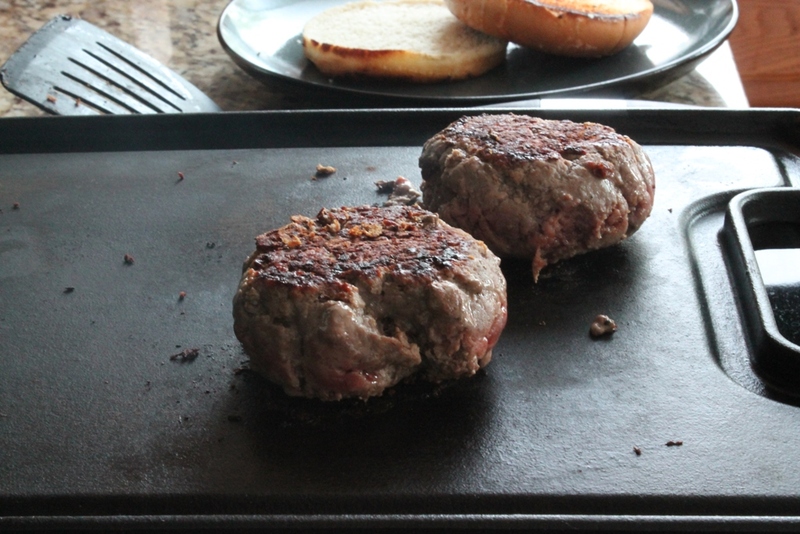 Heat a cast iron griddle over medium-high heat for 2 to 3 minutes. Place the hamburger patties on the griddle. 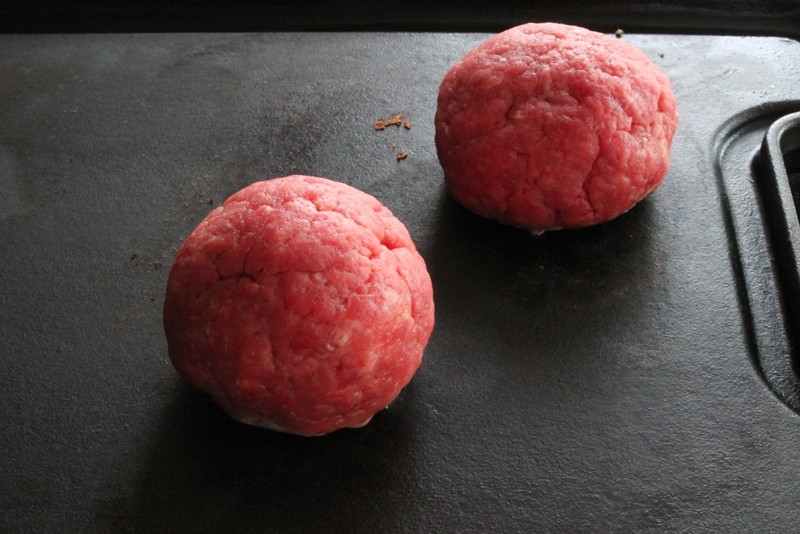 Cook patties for 5 minutes on each side for medium burgers.